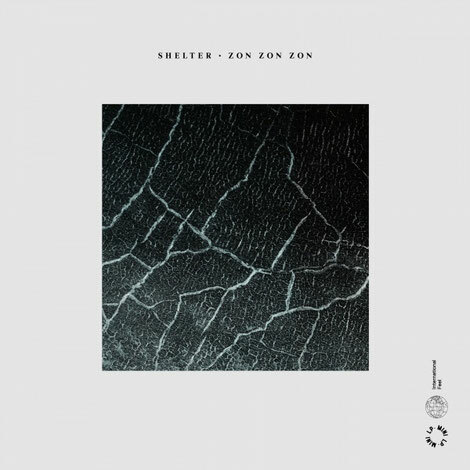 Shelter is the production name for Alan Briand, a young Parisian producer with a strong melodic centre producing a sound that pulls on the Zouk, the Afro, the Balearic and the Ambient palette. ‘Zon Zon Zon’ is only his fifth release and his first mini album, following the series on International Feel that has released material from Len Leise, Wolf Muller and CFCF. International Feel first met Shelter on a trip to Paris a few years back at a record shop in Paris called L’International Records. Run by a guy called Dave, the store has a group of young French DJs, producers and promoters that visit the store, hang out and buy and listen to music - a story likely repeated throughout the world as new generations immerse themselves in the culture. The seven tracks on this mini-album are taken from an extensive pool of Shelter’s melodic productions. Alan focuses on the melody, with the beat closely tied in as support. ‘Señor Zalla’ starts the album with an afro vibe, closely followed by the Zouk-style of ‘Zon Zon Zon’ and ‘Port-au-Cœur’’s mellow Balearic tones, as Shelter twists sounds into his own sonic world. ‘Bucolica’, an upbeat track, turns to the ambient mantra of Courant Rouge and its distant cousin Courant Bleu, a rhythmic Balearic piece with syncopated melody and delayed drums. ‘La Volière’ brings the album to a close. ‘Zon Zon Zon’ is out 24 March.